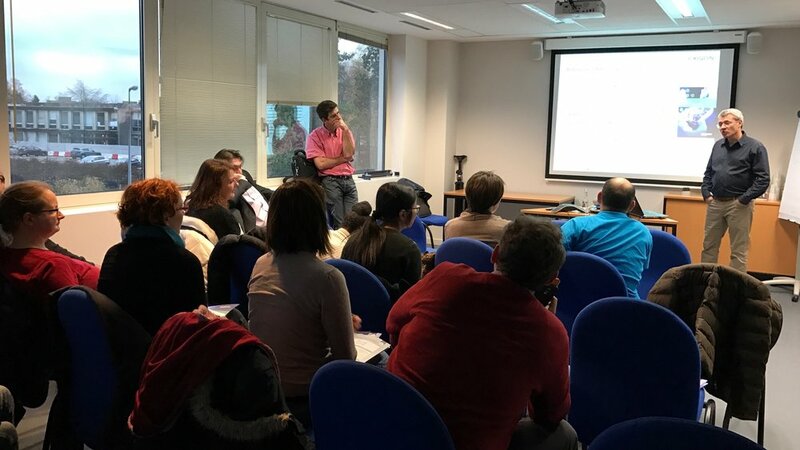 The seminar entitled "Potent knock down of lncRNAs in vitro and in vivo with antisense LNA™ GapmeRs" was held at the Luxembourg Institute of Health on November 25, 2016 and was well-attended. It was a good opportunity for researchers from different fields to discuss knock down of long non-coding RNAs and the science behind Exiqon's LNA GapmeRs technique. Dr. Niels M. Frandsen gave a science-oriented talk addressing different aspects of the tool and its applications. The audience took advantage of the time reserved for questions, which led to productive discussions, even ones applied to quite specific needs from the researchers.